Why print coroplast signs? They are lightweight, sturdy, water and stain resistant, and they have a high tolerance to handle the extreme elements outside. (cold or hot temperatures). Our 4mm Coroplast signs are great marketing tools as they can quickly grab the attention of passerby’s. 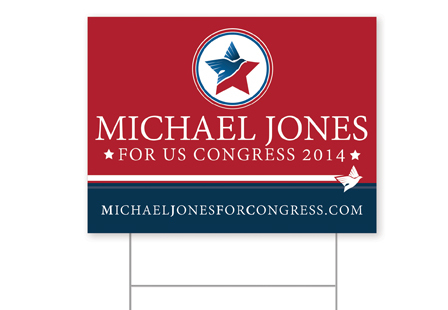 Use them as yard signs, for sale signs, political signs, driving directions, baby announcements and more. These full color, durable signs are available in a variety of sizes including our 18”x24” size with the option to print single or double-sided. Substrate: 4mm Coroplast®, extruded twin-wall polypropylene board.